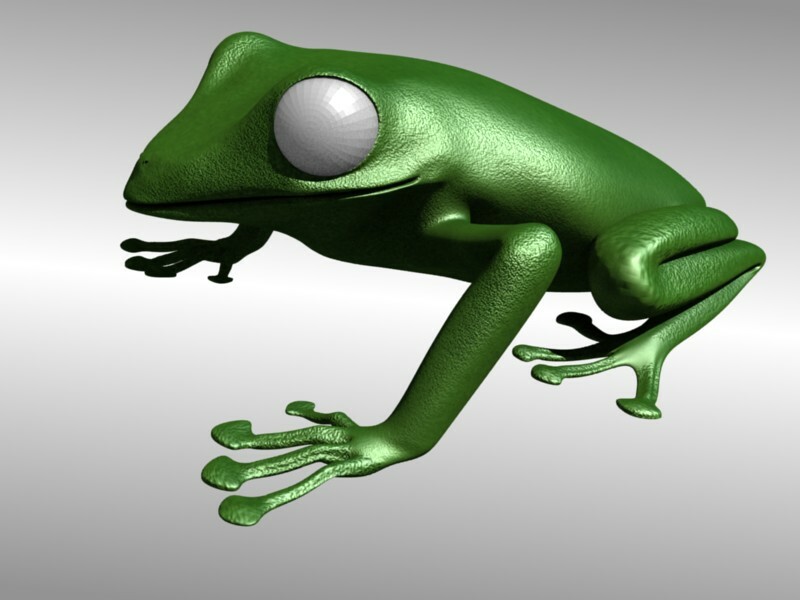 Just started out on trying to acheive a photorealistic model of a tree frog for an illustration. 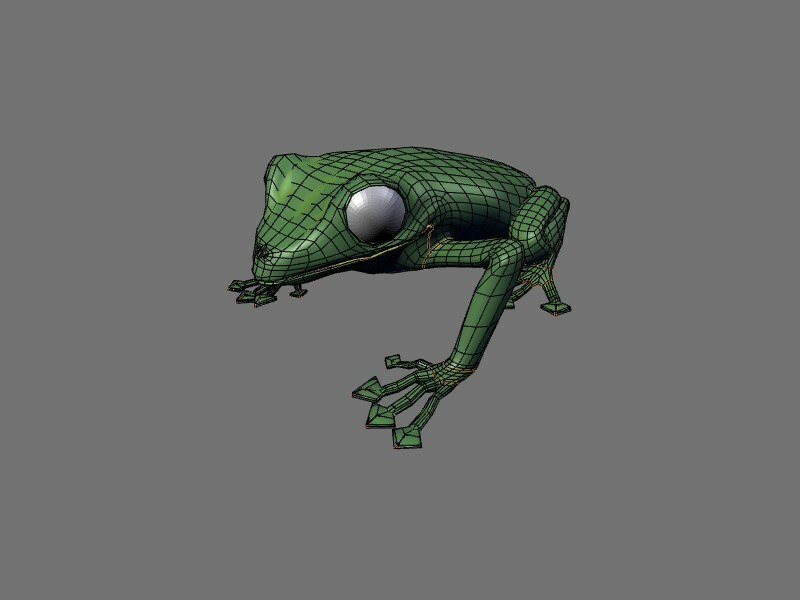 Modeling is complete, I feel, other than the eye-balls. Currently working on the UV mapping . Texture seen is just a trial. Crits & comments welcome. You do have a recognizable frog there. The lips come to a sharp point. That could be rounded out. The toes are flat. I think they should look more like balls. The frog could have round ears behind its eyes. 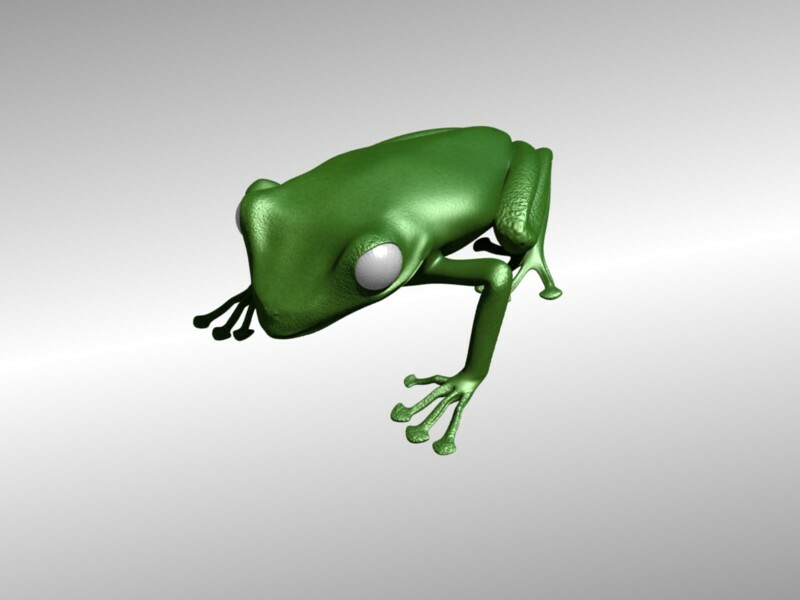 What would be the ankle joint on the frog looks too thin and collapsed. I think it needs to have more mass to it like the knee joint does. I think the mouth is a little too pointy but other than that it looks fine. I love the model. Maybe the fingertips are a bit too sharp and “spade-like”. The lips are perhaps a little too sharp, but they are the right shape. I think you got the pose spot on. I’m really excited to see what you can do with the shaders/texture. Some nice SSS and hand_painted UV maps will be fantastic. Great work!